Tess the African penguin was already quite extraordinary even before she became the first of her kind to undergo treatment for cancer. At the ripe old age of 40, she's the oldest known African penguin alive. But advanced age brings with it inevitable health problems and a few months ago Tess's caregivers at Pueblo Zoo in Colorado noticed injuries around her eyes that failed to heal after a squabble over a nest box. The diagnosis? An aggressive form of skin cancer. Tess's tumour was promptly removed for testing by Pueblo Zoo veterinarian Dr Kathy Wolyn – but it soon reappeared, leaving zoo staff with few treatment options. “With my capabilities at the zoo, I could only do so much," Wolyn said in a press release. That's when a decision was made to have the penguin treated with specialised radiation by veterinarians at Colorado State University. 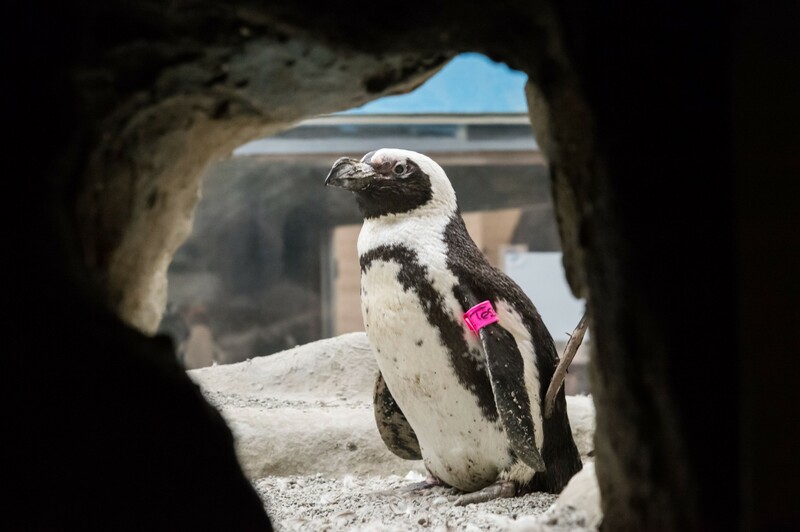 It was a pretty unconventional treatment route, but Tess's case stood out, not least because she belongs to a penguin species that's undergoing rapid population declines in the wild. In 2010, the African penguin (Spheniscus demersus) was shifted from Vulnerable to Endangered on the IUCN Red List of Threatened Species. Giving a species ambassador like Tess the best shot at prolonging her lifespan was important. “If we can make people aware of these endangered species, with awareness comes action, and with action comes change. And, ultimately, we help,” said Dr Matthew Johnston, a CSU veterinarian in Avian, Exotic and Zoological Medicine. Late in November, Tess arrived at CSU's Veterinary Teaching Hospital for her procedure, where an impressive (and curious) team of veterinarians, interns, staff and students from several specialty units had assembled. “It’s fun to collaborate to treat a species we rarely get to work with. It’s the perfect opportunity to showcase radiation therapy in non-traditional patients,” said Johnston. After a thorough evaluation and a CT scan that confirmed a tumour the size of a small pinto bean, radiation oncologist Dr Jamie Custis administered a single dose of electronic brachytherapy – a form of radiation that focuses beams incredibly precisely so that nearby tissues and organs are not harmed. The procedure went off smoothly and Tess was released from hospital later that evening. Weeks after the treatment, the radiation has begun to cause the tumour tissue to die and slough, but it will be some time before doctors can see just how well it has worked. In the meantime, Tess has settled back into life at Pueblo Zoo's penguin exhibit with her 33-year-old mate, Mongo. “Some people would ask, ‘Why are you putting all of these resources into an individual animal?’ But, if this individual animal can tell a story that helps globally with the African penguin, then it’s all worth it,” said Johnston.